Russian have unique culture. Sometimes, their culture can’t explaining easily. From daily activities, fashion, until meal time, Russian culture so amazingly unique. Russian etiquette is unique as always since 19th century. Although, every country has their unique etiquette. At the beginning of the nineteenth century, russian meal time etiquette was art. 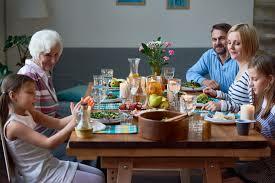 All is meaningful, even where someone occupied at the dinner table depicts the status and relationship with the host. You could come for lunch and sit at the table uninvited. The hosts give their guests the freedom to do whatever they like is regardless of them. What kind of host-country Russian hospitality really is? You can also read Russian culture for dining etiquette. The beginning of the 19th century was the era of landlords and peasants. Farmer life is very simple, while the landlords usually hold a large and luxurious family dinner with all the inhabitants of the house. The tables are arranged by the waiters. They also prepared the food. Rich landlords usually have a foreigner’s chef, who can be showcased to his neighbors. Lunch is usually done during the day or at 1 pm. There is a popular story. Its telling how Emperor Pavel Princess Golovina eating lunch at 3 pm, and he sent a policeman to admonish him to always eat at 1 pm, just like the emperor. Seating is very important. The tip of the table belonged to the landlord, to his right was his wife, while on his left was the most important guest to him. The farther a person sits from the host, the lower his social status, and the less important it has to do with the landlord. The waiter follows the seating arrangement while serving food. “Sometimes a servant does not know the status of his master’s guests will glance nervously at his employer. One glance is enough to put him in the right position, “wrote an anonymous writer to a friend in Germany. Not surprisingly, the superstitious host ensures that the table is never filled with 13 people. Tableware depends on the prosperity of the host. If he is rich, cutlery must be made of silver. For example, in 1774, the Great Ekaterina awarded a set of more than two tons of silverware for his favorite Orlov Princess. The wipe used on the table usually has the host’s initials in the middle. In accordance with Russian tradition, the menu is served one by one, not at once. This 19th century tradition is emulated by France, and then other European countries. Wine drinks are also served after a menu, except the “ordinary wine in pots drunk with water” (from 19th Eat Eating E, E. V. Lavrentieva). You should not talk about illness, servant, or romantic relationships on the table. Silence is considered a bad attitude, or a sign of bad mood. A good attitude is shown by engaging in light conversation. If two neighbors talk at the table, they should talk a little louder for others to hear. Lunch begins with a cross sign, and closes with dessert. Fruit, candy, or ice cream is served as a dessert. In each dessert, glasses are circulated so that guests can wash their mouths. The tradition of washing the mouth began to become a trend at the end of the 18th century. The guests also made the sign of the cross as they stood. Guests can only stand after the most important guests do so. The same visit will not be done sooner than three days, and no later than seven days after lunch. What else can help people survive the winter and keep immunity? Russians love to put raw onions and garlic into the dinner and lunch menus, and eating onions is believed to protect them from fever during the winter. Raw onions are one of the most common ingredients in almost all Russian salads. In addition, Russians are also accustomed to enjoying the edge of bread with raw crushed garlic smoothed on it. Do not expect to find different types of spices in Russian cuisine other than, black pepper, bay leaf, and dill (adas sowa). Russian cuisine is dominated only by onions and black pepper. The taste of pelmeni is very identical to the taste of the kotleta. Many Russian dishes can actually stand out by using more spices to get different flavors. Essentially the Russian people do not have a tortured eating ethic. If you visit someone else’s house, make sure your stomach is empty. Russian will always appreciate his guests by providing food. It does not take into consideration when you are visiting. Thats all some russian meal time etiquette.